David A. Scheinberg has been elected a member of the prestigious Association of American Physicians (AAP). David A. Scheinberg has been elected a member of the prestigious Association of American Physicians (AAP). Dr. Scheinberg is a physician-scientist involved in both basic and clinical research. 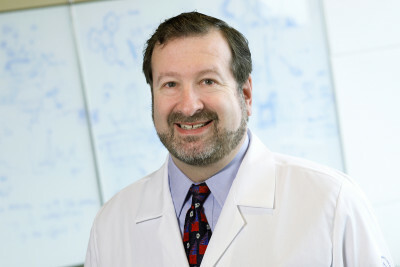 He is Chair of the Molecular Pharmacology and Chemistry Program and also heads the Experimental Therapeutics Center, a multidisciplinary program whose members are working to translate drugs from the laboratory to the patient’s bedside. He is a former Chief of the Leukemia Service in the Department of Medicine. The AAP was founded in 1885 for the “advancement of scientific and practical medicine.” The goals of its members include the pursuit of medical knowledge, the advancement of basic and clinical science, and their application to clinical medicine. Dr. Scheinberg joins eight other Memorial Sloan Kettering faculty members who were previously elected members of the AAP.